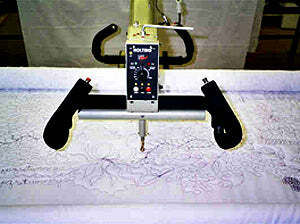 20-Inch longarm quilter has 10-inch height, bobbin winder, needles, bobbins, laser, cable chain, 4 pony clamps, and 5 patterns. 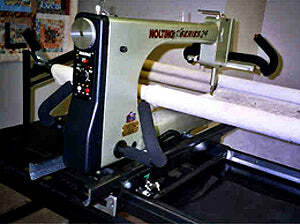 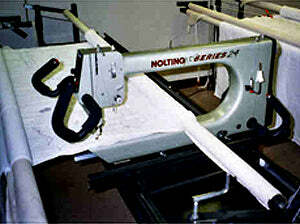 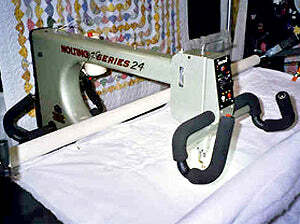 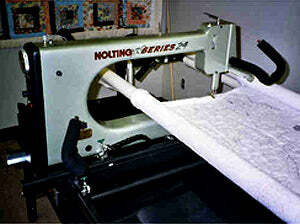 Nolting 20-Inch Longarm Quilting Machine With 12-Foot Table. 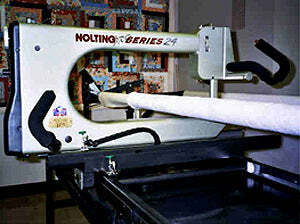 Nolting 20-Inch Longarm Key Features.